“He said we would not lose a single one,” he said. On the second story balcony overlooking the Indian Ocean, Pastor Vincent looks like a small, giant of a man. Dressed in khaki pants and a white, button down, gauzey shirt, he is smiling so wide his eyes disappear. HIs wife quietly comes in and out. His daughter sits at a table inside working through a book of math problems. 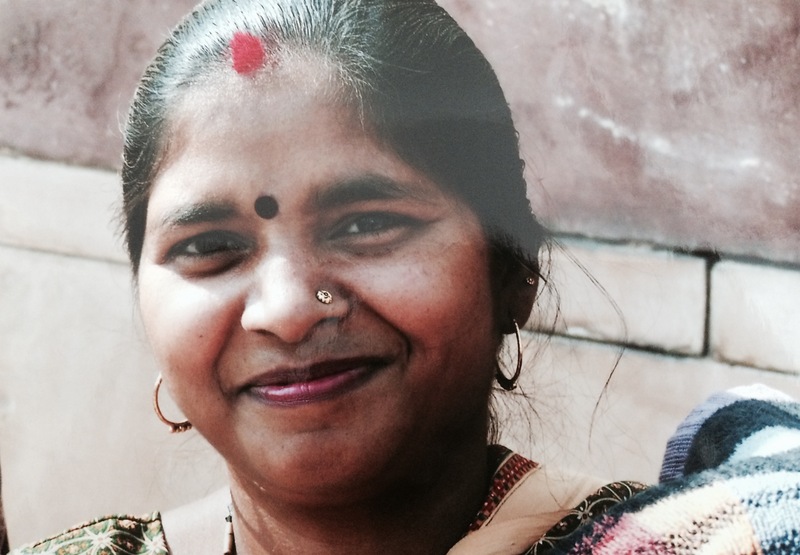 In Hindu-rich southern India, a church like All For Jesus is rare. Temples populate the villages as frequently as open air markets. 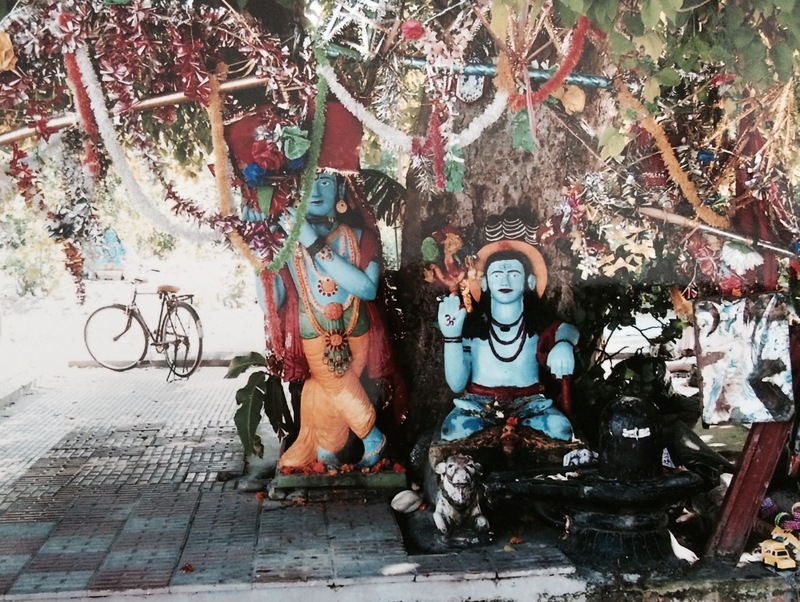 In the event a person cannot make it to a temple, there are small, roadside shrines to various Hindu deities. Like a strange version of a drive through window. Jesus loving churches so few in number the ones that are in each community are treasured. Almost all attendees walk to attend on a Sunday, some walking as many has 12 or more miles. No one drives. There are a few bikes and rickshaws parked in front. There is a desperate hope in the people. It is Sysiphian, their mission. Against shelves of Hindu gods, the temptation is to take Jesus and place him next to the hundreds of others. Your Jesus? He can sit here with all the other tiny multiarm statues. He is a safe, a good idea, rather than Savior of the world. The country is full of people with ash on their foreheads and red strings around their waists. At times, Indian Christians can feel the weight of the boulder rolling back down the hill. But holding up faith in the face of an mountain builds muscle. There is a belief here that is sturdy and tried, that despite all that surrounds them, Jesus is better. He is better because he HAS to be better. And in the midst of this, the ocean raged. The 2004 tsunami barreled through South Asia on a Sunday. Pastor Vincent was preaching to a full church building. Men, women and children were all sitting on the floor of a first story, small, open room. It was then that Pastor Vincent’s wife noticed what only a life-long astute coastal dweller could notice. All the animals – and there are lot of them on the streets in a reincarnated believing country – were retreating away from the ocean. It was not raining. The sky was not dark. But something was happening and it was not good. And in that instant, the Holy Spirit spoke to her and told her to send all the people home. She steps up to her husband, pauses the service, and sounds the warning. “If you can make it home quickly, please start walking now. If you cannot, stay here and go to the second story. And we will all pray,” he recalls telling the church. A little less than half the church stayed, waiting out the storm winds and water. Everyone else walked home. Just outside of Valankanni, India, there is a mass grave of hundreds of mystic pilgrims. They traveled from all over the world to fulfill the once in a lifetime requirement of their faith, much like Muslims to Mecca. They were ritualistically bathing in the Indian Ocean the morning of the tsunami in 2004. All died and whether is was too hard to transport their bodies back home or if they simply could not find or identify them all, a mass grave was constructed. It is estimated over 300 people are buried there. The grave sits a few miles from All For Jesus, the church Vincent pastors. It is hard to recall now amid the wars, refugee crisis and countless of other natural disasters, but in the aftermath of the 2004 tsunami stories abounded of people stranded for days without food or clean water. Entire villages misplaced. Fear, fear, fear. What must it be like to take inventory? What must it be like in the days following to wonder if the promise spoken was true. She is missing. He is barely holding on. What is it like to believe against all hope. And in the waiting and believing, the stories came. She was stuck in the branches of a palm tree for several days without food or water, but as the water resided, famished and dehydrated, she climbed down very much still alive. A mother was caught in the current of the waves, clutching her two small children. Her infant was washed completely out of her arms. Many waves later, the baby floats back to her waterlogged but mostly unharmed. Story after story after story. Miracle after miracle. Though seemingly unprotected and vulnerable, all lived, all survived. Not a single precious one was lost. The grave they all pass on their way to worship is a reminder. Not all made it. Mercy is real. A while later, on the church balcony overlooking the very Indian Ocean that puffed up her chest and marked her territory, Pastor Vincent recounts the storm but more than the terror, he talks about faith. He talks about believing against all we can see. Living this close to the ocean that tore apart so much life, is this like coexisting in a home with a pet that bites? Isn’t there fear she will show her teeth again? No, not when the story isn’t about the destruction or the fear. The story is about trust and a Father that gives both the faith to believe the promises spoken in the midst of the storm and the protection to make them so.